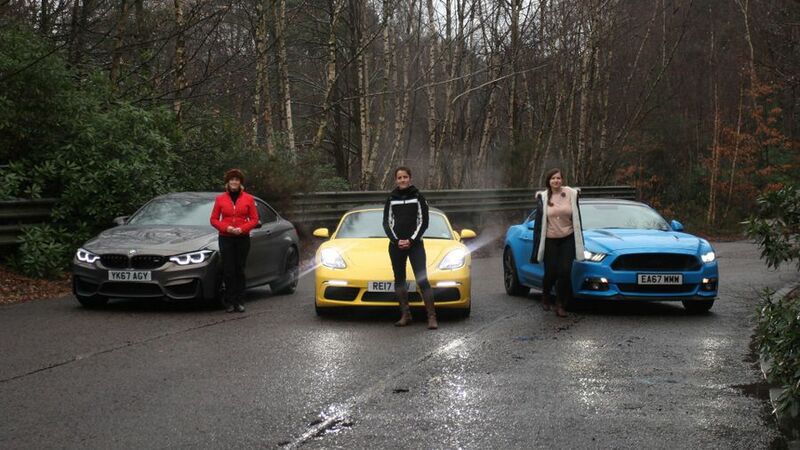 Racing driver Vicki Butler-Henderson, Millennial Rachael Hogg, and mum Erin Baker (REV) are testing three of the UK's most exciting sports cars, based on how people search for them at Auto Trader. The cars this week are the muscly Ford Mustang, the potent Porsche Boxster and amazing BMW M4. This week, Rachael gets flung around the track by Vicki, while Erin gets a bit car sick in the back: she’s used to being in the driver’s seat.